Japan has had a complicated relationship with Western culture. Nagasaki is proof. Some of the Japanese-style buildings haven’t changed since the Edo period (1603 – 1868). Other buildings might make you think you’re in an old European village. Why is the City Like This? Are Nagasaki’s Historical Sites Worth Visiting? Japan was isolated during the Sakoku period (around 1639 – 1853). The isolation lasted for over 200 years. Nagasaki’s Dejima Island was the only place contact with foreigners took place. Most of the contact was with the Dutch. 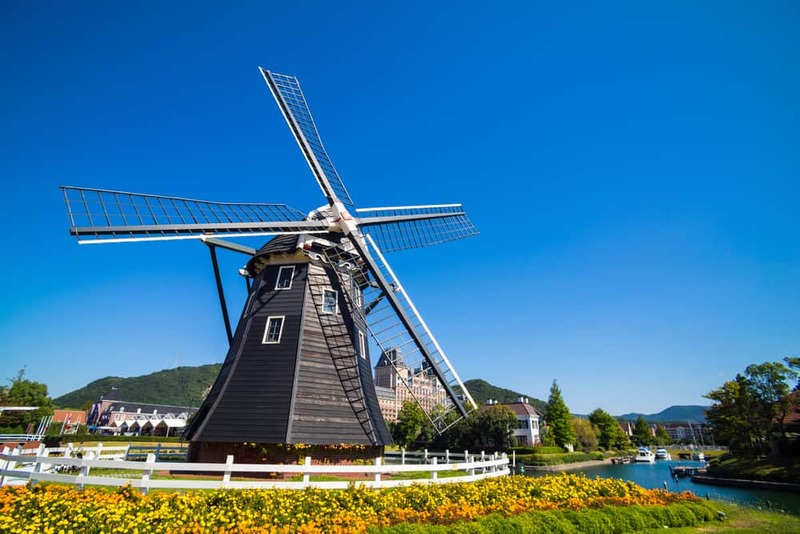 The Dutch introduced Western medicine, technology, and architecture to Japan. They also introduced novelties like chocolate and beer. Dejima remained a foreign settlement when the isolation ended. The Western-style houses still showcase the unique history of the island. The architecture isn’t the only unique thing. 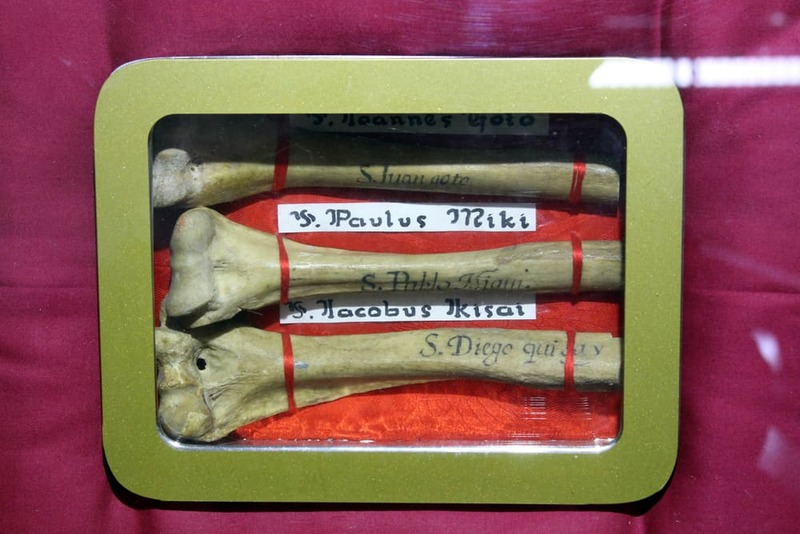 The Christians have an unusual history in Nagasaki as well. Thousands died for their religion. A memorial and Japan’s oldest church keep this history alive. In this article, we explore the unique history and culture of the area. Are you a fan of history or architecture? If so, you’ll love our tour of Nagasaki. Let’s begin our journey in the place where the cultural exchange began: Dejima Island. The man-made Dejima island was created in 1636. Portuguese traders were the first people to live on the island. It was one of the few places a foreigner could live in Japan. The Portuguese weren’t just interested in trading, however. They converted about 300,000 Japanese people to Christianity. Tokugawa Ieyasu became shogun in 1603. His Sakoku (national isolation) policy closed Japan to foreigners. Tokugawa wanted to stop Christianity from spreading — he viewed it as a threat to his power. The shoguns who followed him (he died in 1616) continued his policy. Christian peasants staged several revolts in the late 1630’s. After the Shimabara Rebellion in 1637 – 1638, the shogun drove the Portuguese out of Japan. Once the Portuguese moved out of Dejima, the Dutch moved in. Nagasaki became a center of rangoku (Dutch studies). The Dutch introduced quite a few things to Japan. 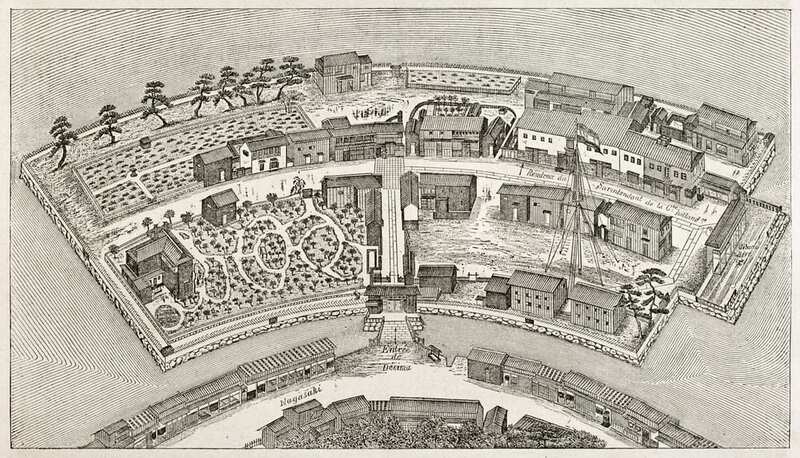 Dejima expanded during the Meiji era. Today, Dejima is no longer an island. Many of the original buildings remain; most are open to the public. There are also ongoing archaeological excavations. 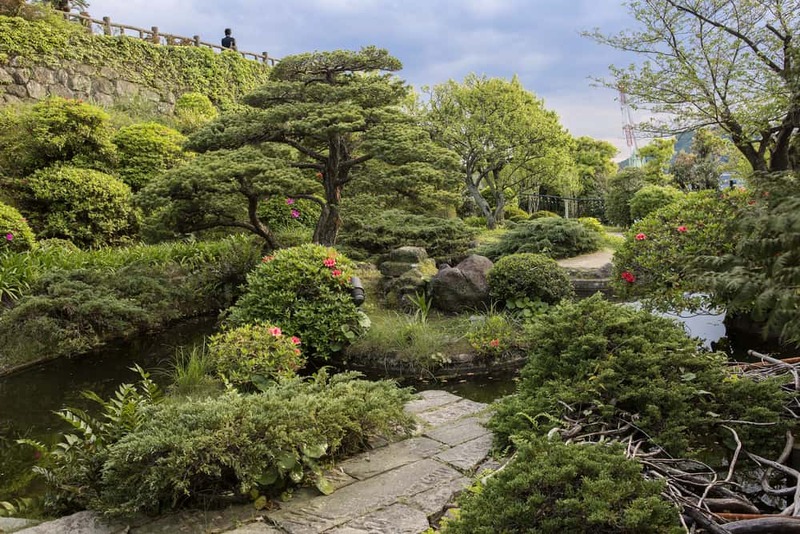 The city plans to restore the Sakoku-era atmosphere. They intend to rebuild and recreate even more old buildings. 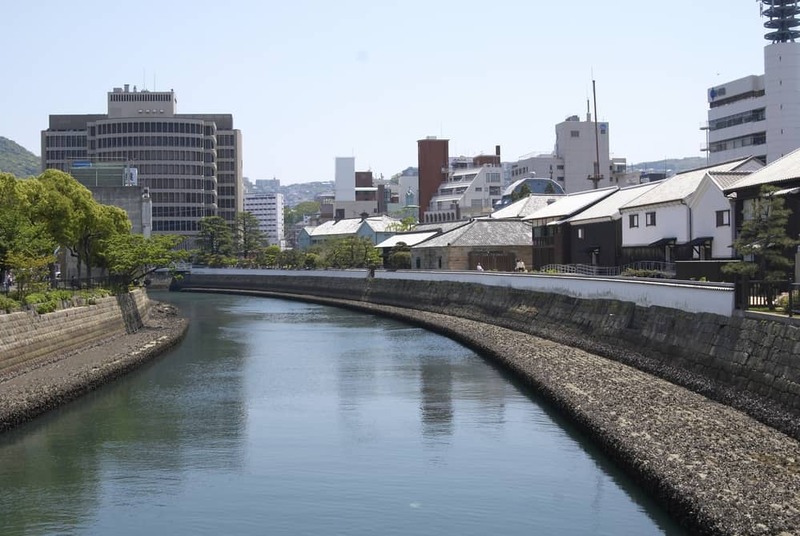 They also plan to dig a canal around Dejima and make it an island once again. History lovers will enjoy the gigantic Chief Factor’s Residence. It’s the biggest building in Dejima, and a great example of how Japanese and European architectural styles mixed in the area. What’s a chief factor? A chief factor was a very high ranking person in a private trading company. The chief factor conducted business in this house, and the Dutch traders ate their meals here. The Head Clerk’s Quarters are now a museum of Dutch studies. The Former Stone Warehouse contains an Archaeology Center and the Dejima Theater. Make sure you check out the First Ship Captain’s Quarters. It features European, Indonesian, and Japanese furnishings. The unique cultural mix was typical of the Dejima colony. The East gate has buildings constructed after the isolation ended. They include the Former Nagasaki International Club. It’s now a restaurant where you can sample the food popularized by Dejima’s foreign residents. Near the East gate, you find a scale model of Dejima during the Sakoku period. You’ll find many Edo-era buildings in the area around the West gate. 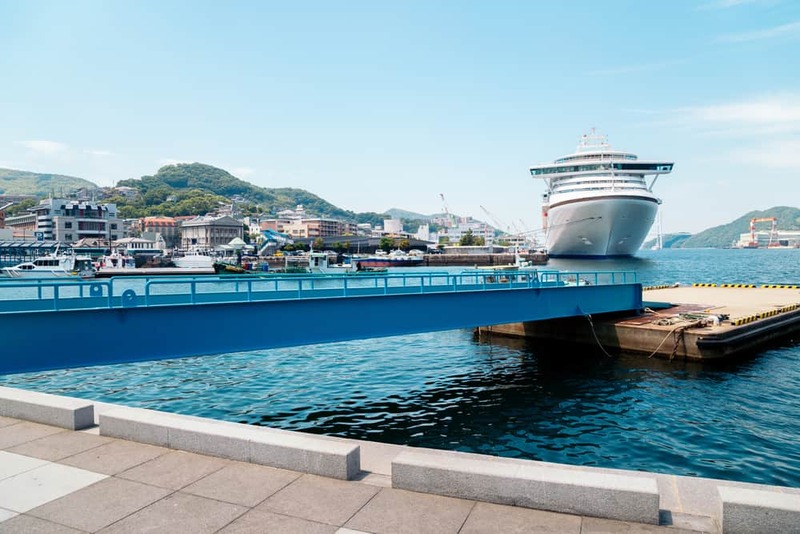 Even the bridge linking Dejima to Nagasaki is historically significant. The bridge was built in 1890. It’s the oldest iron bridge still in use in Japan. Japan opened to foreign trade in 1859. 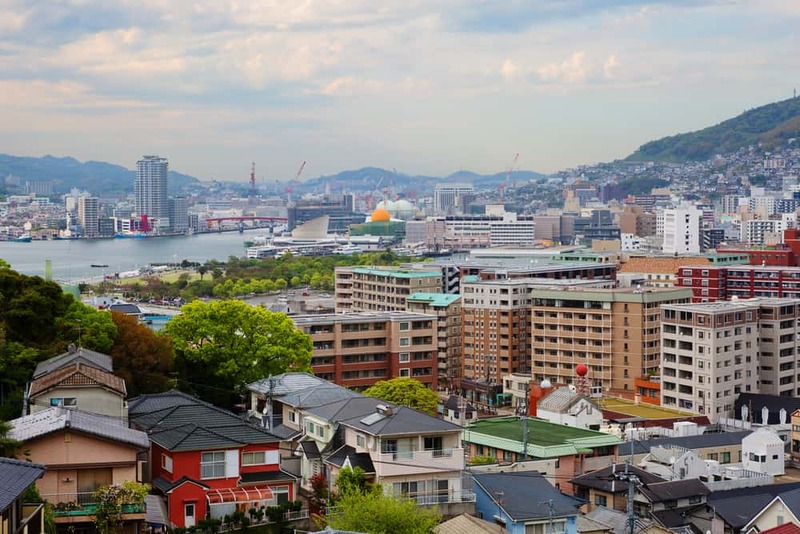 Nagasaki became the focal point for foreign settlement. Foreigners were only allowed to live in specific areas. One such area was Nagasaki’s Minami-Yamate. The Minami-Yamate neighborhood took on a Western atmosphere when the settlement restrictions lifted. Houses, offices, churches, and hospitals sprang up. They were all built in European styles. The Scottish trader Thomas Blake Glover built his home in Minamai-Yamate. Glover had a huge impact on Japan’s development. He brought the first steam locomotives to Japan and developed the coal mining industry, among many other things. He helped Japan modernize. The Glover Garden was originally his private garden. Today, the garden is an open-air museum. The park features several historic European houses. They were moved to the garden in 1970 to preserve their unique history. 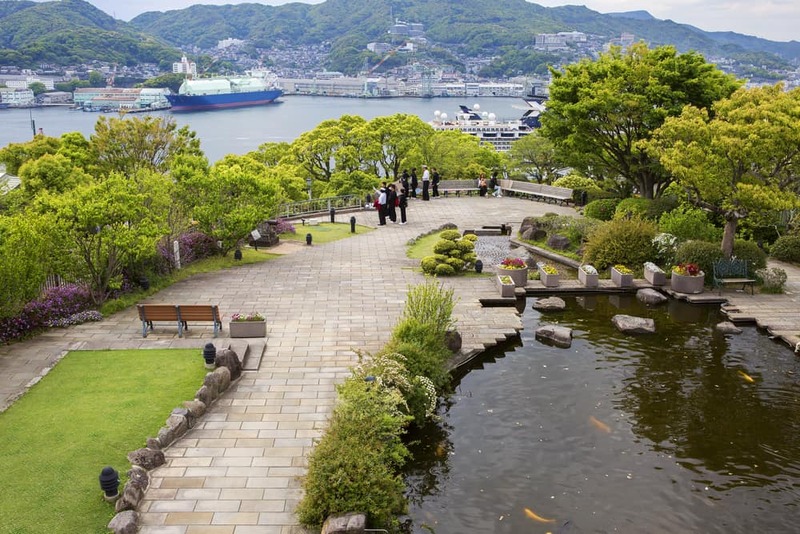 The Glover Garden is a European garden with excellent views of Nagasaki and the harbor. It was built in a Georgian style in 1863. Glover’s house contains many mementos of his life in Japan. A statue of Puccini and Tamaki Miura sits outside the house. Miura was a Japanese opera singer. She was famous for her portrayal of the opera’s main character, Cio-Cio-san. Other houses include the mansions of British merchants Frederick Ringer and William Alt. 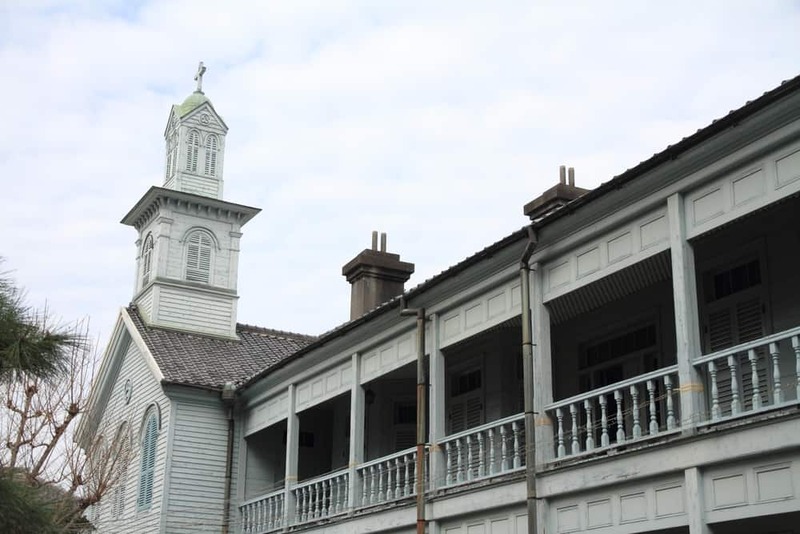 The Steele Memorial School and the Nagasaki Masonic Lodge also add a little British flair to the area. The No. 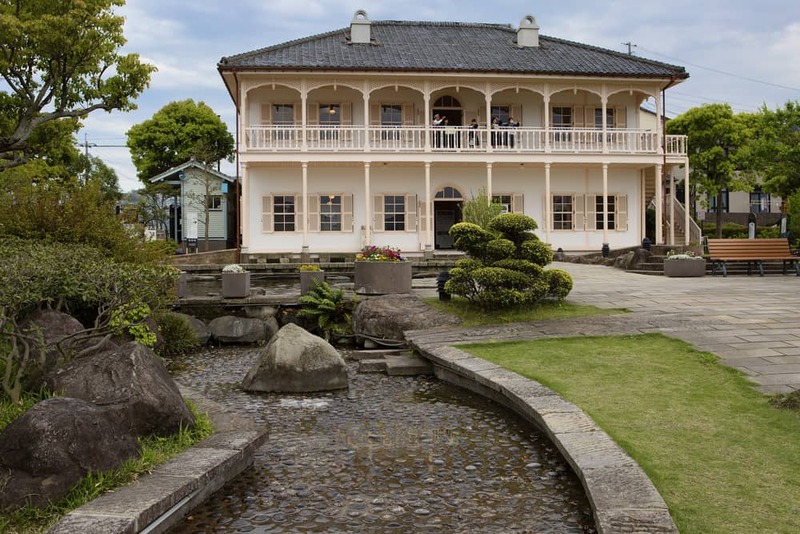 2 Dock House is a fantastic example of Meiji-period architecture. So is the House of the President of the Nagasaki District Court. The Old Hong Kong and Shanghai Bank is a museum. The museum focuses on Umeya Shokichi. He was a Japanese businessman who helped fund Sun-Yat Sen’s revolution in China. Jiyu-tei, the first Western-style restaurant in Japan, is still in business today. It recently moved to the Glover garden. Hours depend on the season and demand, so it’s necessary to check their website before you go. Generally speaking, they are usually open from 8:00am – 6:00pm. Nagasaki’s relationship with its European residents wasn’t always positive. 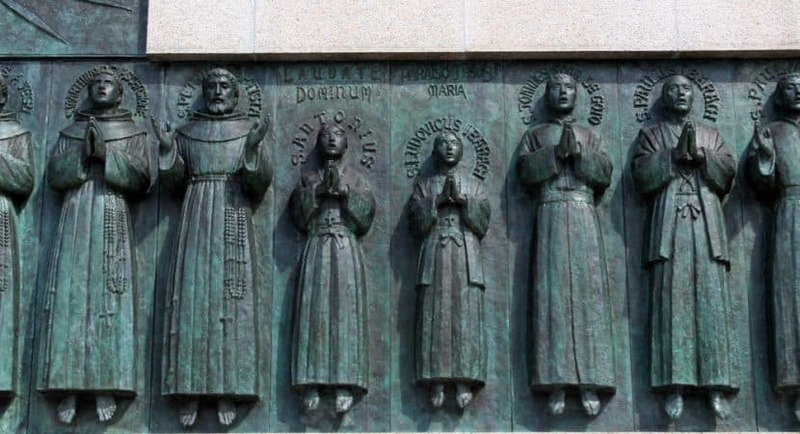 Spanish Catholics arrived in Japan in 1549. Their goal was to spread Christianity. By the end of the sixteenth century, they had over 100,000 converts. Some sources even say there were up to 300,000 converts at that time. Alarmed by the growing influence of the missionaries, the shogun persecuted Christians. He expelled the missionaries and banned the Christian religion. Those who didn’t give up their faith were killed. In February 1597, twenty-six men were killed in Nagasaki in an attempt to stamp out the religion. A monument was built in their honor in 1962. 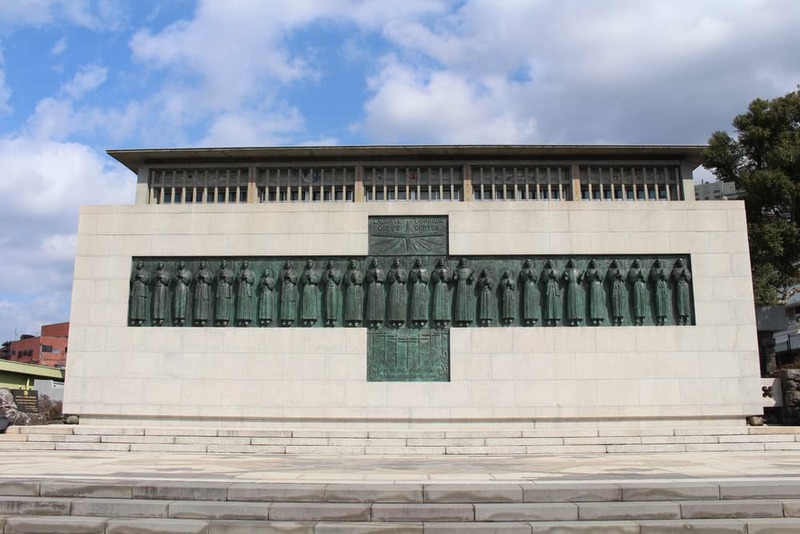 The monument has a unique distinction — it’s the only Christian pilgrimage site in Japan. Japanese sculptor Yasutake Funakoshi designed the statue. It explores the Christian faith of the martyrs and the long trek they took to Nagasaki. The nearby museum covers the history of the early Spanish missionaries. It also tells the story of the martyrs. 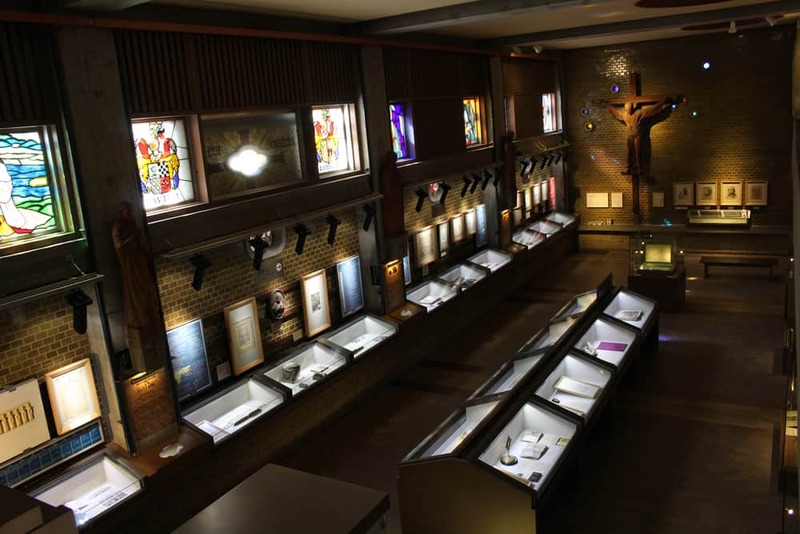 The museum focuses on the underground practice of Christianity during the Sakoku period. It offers insight into this little-known aspect of Japanese history… a history few people know much about even in Japan. The Oura Cathedral is the oldest church in Japan. It was built in 1864 after the ban on Christianity was lifted. The church is dedicated to the twenty-six martyrs. It faces Nishizaka Hill where they died. The monument sits on this hill, directly across from the church. 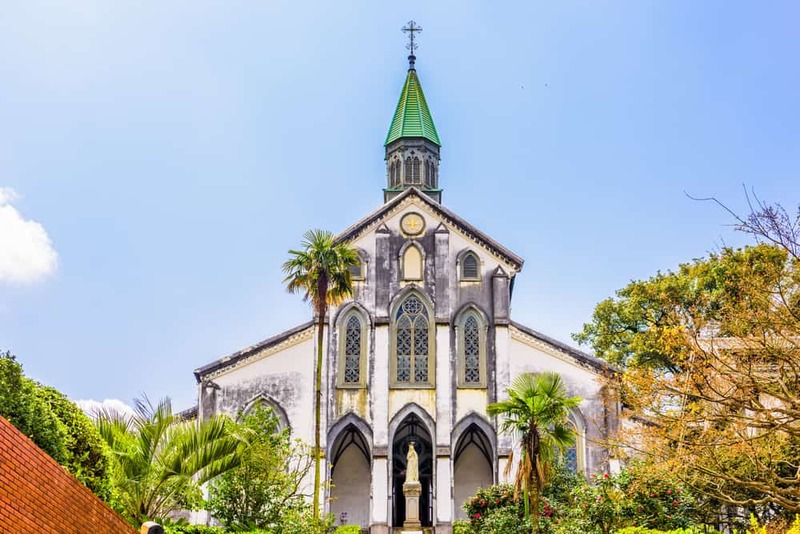 Oura Cathedral is also called the Basilica of the Twenty-Six Holy Martyrs of Japan. It started as a small building designed by the same architect who designed the Glover House. Remodeling in 1879 made it into a larger Gothic basilica. 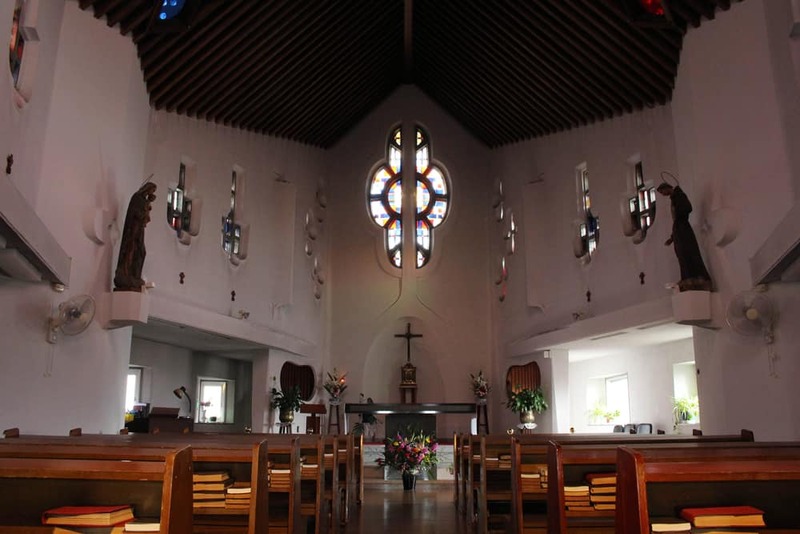 The church was slightly damaged by the Nagasaki bombing, but it was soon restored. 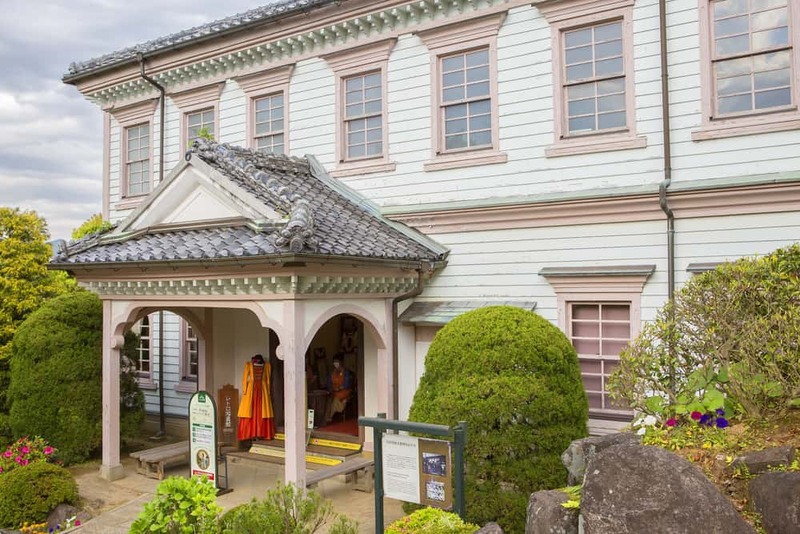 For many years, it was the only Western building to achieve the status of a National Treasure in Japan. The church attracted a massive number of underground Christians when it first opened. They felt they could finally come out of hiding. *The cathedral closes to visitors during church services, funerals, and other events. Call before you visit. Have you ever shaken your head at a Japanese interpretation of Western culture? Come here to see where it all began. The Portuguese missionaries didn’t just introduce Christianity… they also introduced the food known today as tempura! It all started in Nagasaki. The attractions are a must for fans of European and/or Japanese history. You can fly into Nagasaki Airport from China and Korea. It’s more likely you’ll visit from within Japan. Thus, I’m going to concentrate on domestic travel options. Nagasaki Airport sits on an island about 40 minutes north of the city. The airport connects to Tokyo, Osaka, Nagoya, and Naha airports. It’s served by ANA, JAL, Skynet, and Peach Airlines. Booking a flight from Tokyo Haneda to Nagasaki on ANA starts around 16,590 yen for a value fare. It goes up to 43,890 yen for a flex fare. Nagasaki Airport links to Nagasaki Station by bus (900 yen one-way, 1,600 yen round trip). The ferry links the airport to the Huis Ten Bosch theme park and Togitsu. Taxis and shuttles are also available. You can also fly to nearby Fukuoka Airport. From there, catch the Highway bus to Nagasaki at the International Terminal. (two and a half hours, 2,570 yen). Fukuoka is a bigger airport, with a greater number of flights. A flight on budget airline Peach from Tokyo Narita to Fukuoka starts around 4,290 yen for a simple fare. It runs up to 11,170 yen for the prime fare. Nagasaki Station connects to Hakata Station in Fukuoka by a limited express train. It also connects to the Shinkansen Line. The line comes from Tokyo, Osaka, Kyoto, Okayama, and Hiroshima. From Tokyo, the trip takes roughly seven and a half hours. It costs around 26,000 yen. The price includes seat reservations on the Shinkansen and limited express. Hyperdia Homepage: Search for train departures and schedules. If you’re starting your trip within Kyushu, the highway bus is an option. Buses run from Kita-Kyushu, Fukuoka, Kumamoto, Beppu, Oita, Miyazaki, and Kagoshima. Overnight buses to Fukuoka run from Tokyo, Nagoya, Osaka, and Kyoto. You can transfer to a bus or train to Nagasaki once you reach Fukuoka. 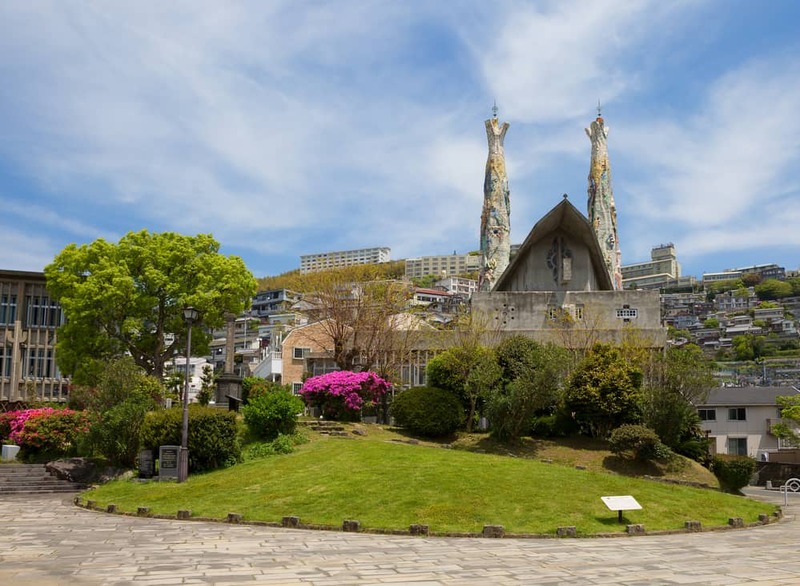 Have You Visited the Historical Sites in Nagasaki? What was your impression of them? Did we miss anything you think we should have covered? Let us know in the comments. 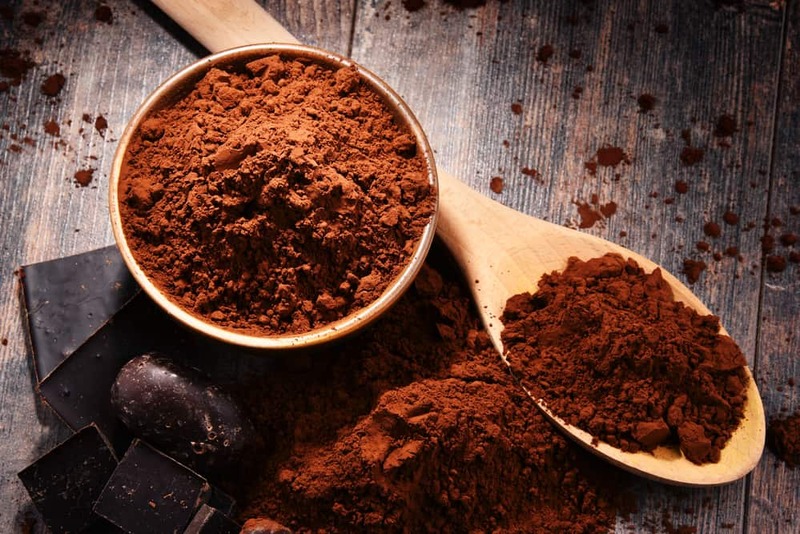 Has anything in this article made your must-visit list? What do you want to see the most? Don’t forget to share this article with your history or architecture loving friends… or anyone who wants to try Japanese tempura in its original birthplace! Matsuyama Japan: A Cool Castle, Amazing Onsen, and Using Birds for Fishing! ?